As a beginner, investing in the stock market can pose quite a challenge. You will find that there are dozens of online brokerages out there, which have different features to offer investors. 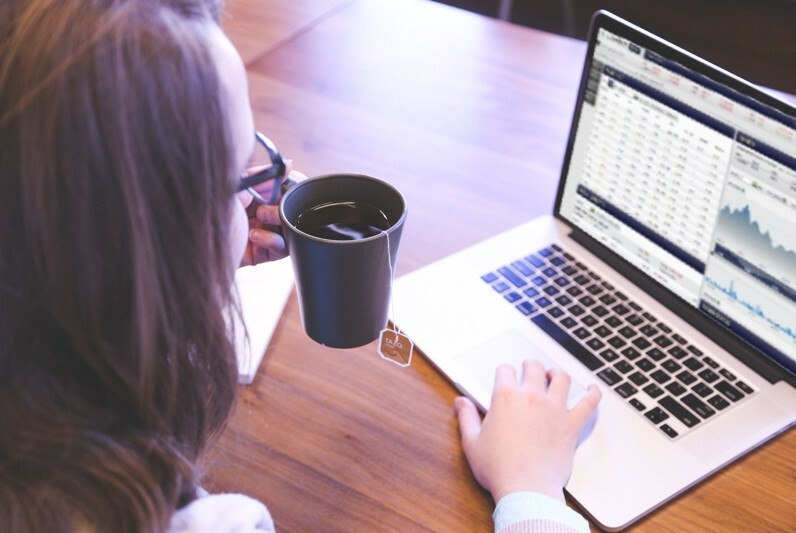 One of the most important factors to consider is the fees charged by each broker, which is why I’ve compiled this list of online brokerages for free and low-cost stock trading. Other aspects to consider may be research and charting tools provided by each service, quality of customer support, and the ease of use of the brokerage’s web or app-based trading platforms. This is by no means a comprehensive list as there are many other solid alternatives other than the brokerages I’ve listed. 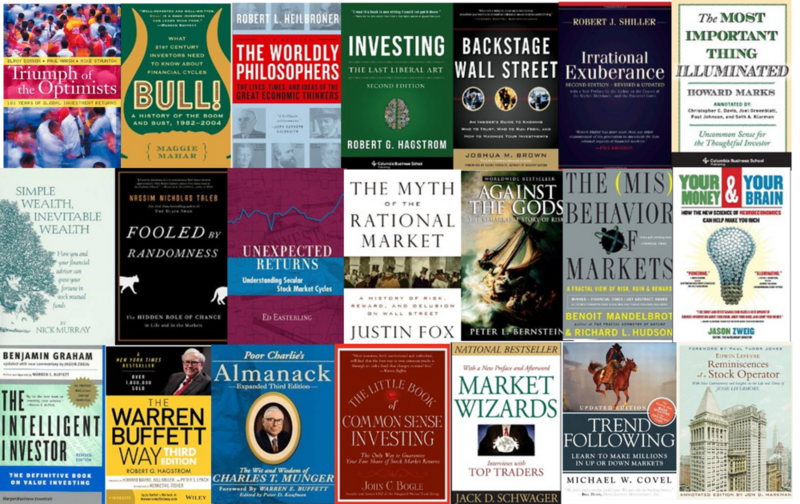 However, these represent some of the best names for free and low-cost trading in the industry and may come in handy if you are looking to start your investing journey. Robinhood is as good as it gets for free stock trading. This company is one of the only brokerages in the US that offers commission-free trading and no account minimums. Robinhood has quickly grown from its inception in 2013 into one of the most widely known names in the industry, and is especially popular among millennials. Robinhood’s unique premise of free stock trading has allowed it to raise over $66 million in capital, including investments from pop culture heavyweights Snoop Dogg and Nas. 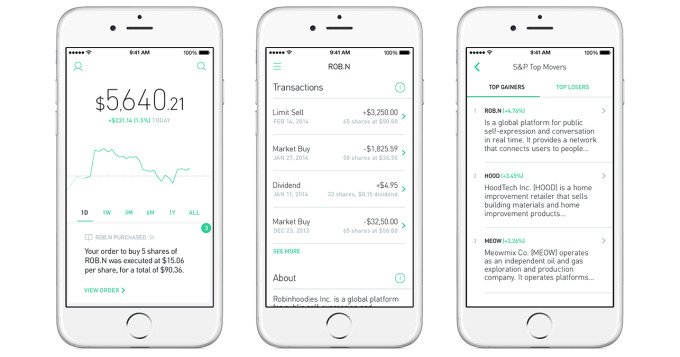 While Robinhood does not yet offer a web-based platform, the company has spent a lot of time and effort optimizing its mobile app for trading on Android and iOS devices. From my experience, I’ve found the app to be very user-friendly and aesthetically appealing. It is a bit barebones and doesn’t have too many advanced features, presumably to keep the app clean and simple. Robinhood is a very useful and money-saving tool for anyone interested in investing in the stock market. It does lack a few features like after-hours trading and buying on margin, but it recently launched a new premium service called Robinhood Gold which offers all of the features above and more for a flat fee of $10/month. Robinhood’s ease of use, lack of minimum account requirements, and commission-free trades make it a top choice for free stock trading. Loyal3 is another service that offers investors free stock trades and access to IPOs. The company is also one of the only online brokers to allow investors to purchase partial shares. This is a great way for younger and more cost-conscious individuals to get involved in the stock market without having to pay the full price for some securities. The downside of Loyal3’s free services is that the number of stocks one can purchase is limited, although many household names such as Facebook and Disney are represented. Loyal3 is a great service for individuals looking to start investing in the stock market without shelling out big fees to traditional brokerages. The option to purchase partial shares is also a great way to purchase shares in companies whose stock may be cost-prohibitive. The platform is geared more towards beginning investors, as the selection of stocks is fairly limited and the platform doesn’t offer the research and analytical tools offered by full-service brokers. However, Loyal3’s offer of commission-free trades and the ability to purchase partial shares merits it a place on this list. OptionsHouse is a great full-service discount broker, offering stock and options trades for $4.95 plus $0.50 per options contract. It offers one of the lowest rates in the industry and do so without any sacrifices on quality or customer service. OptionsHouse’s web-based trading platform is one of the best that I’ve used, offering advanced charting tools and live-streaming quotes. I’ve used various online brokers during my investing career and I’ve found OptionsHouse to be my favorite. It boasts great mobile and desktop applications, and its low fees have allowed me to save thousands of dollars versus comparable brokers. Customer service is also a plus, as I’ve experienced short wait times on the phone and quick responses via the company’s live chat system. 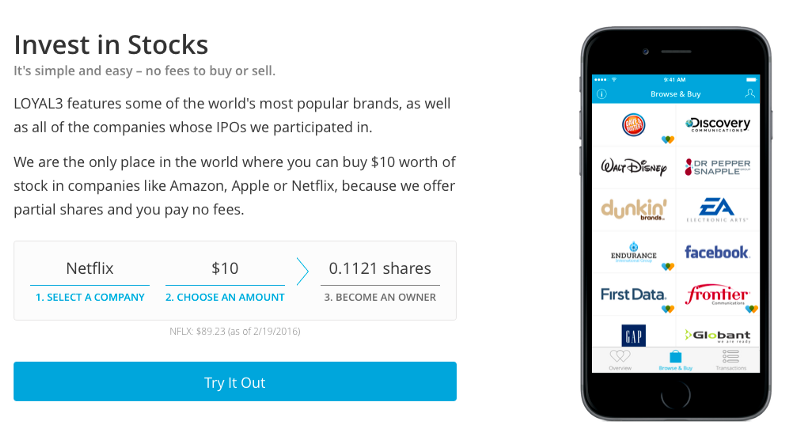 The company also offers a promotion where you receive either 100 free trades ($500 value) or 60 days of free stock trading when you open an account and fund it with at least $5000. Also important to note is that OptionsHouse was recently acquired by E-Trade. OptionsHouse management has stated that while the two companies will be integrated, there will be no change in pricing. 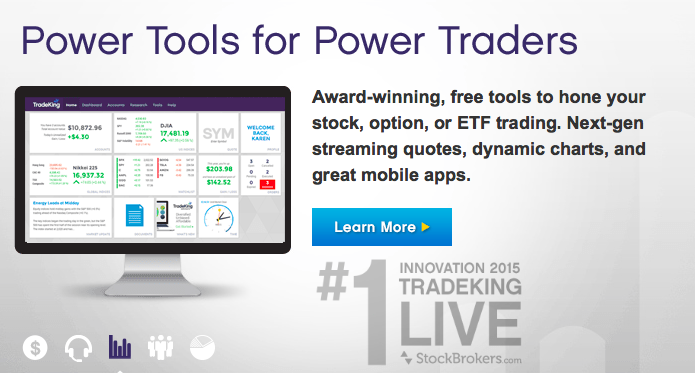 TradeKing is another solid option for those looking for a low-cost broker. They offer the same $4.95 base charge for stock and options trades as OptionsHouse, along with a $0.65 charge per options contract. Despite being a deep-discount broker, TradeKing has managed to make a name for itself by offering many of the bells and whistles offered by more premium brokers. It has a user-friendly web-based platform called TradeKing Live with advanced charting tools and indicators. 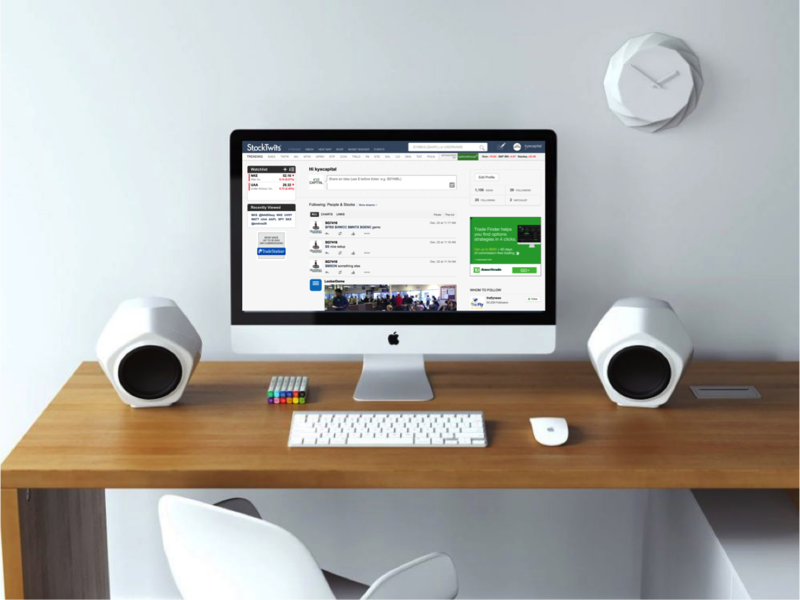 Another unique feature of TradeKing is a social network integrated into the service called the Trader Network, which is a network of over 200,000 traders. You can connect with other investors and see how and what they are trading. Other features of this network include the ability to see popular investments and share ideas with other TradeKing users. The company has also achieved success by offering great customer service and many research tools for both investors and traders. TradeKing is also offering a similar promotion to Optionshouse with 60 days of free trading or $1000 worth of free trades when you open an account and fund it with a minimum of $5000. TradeKing’s social network, low commission fees, and great customer service make it a brokerage worthy of consideration. 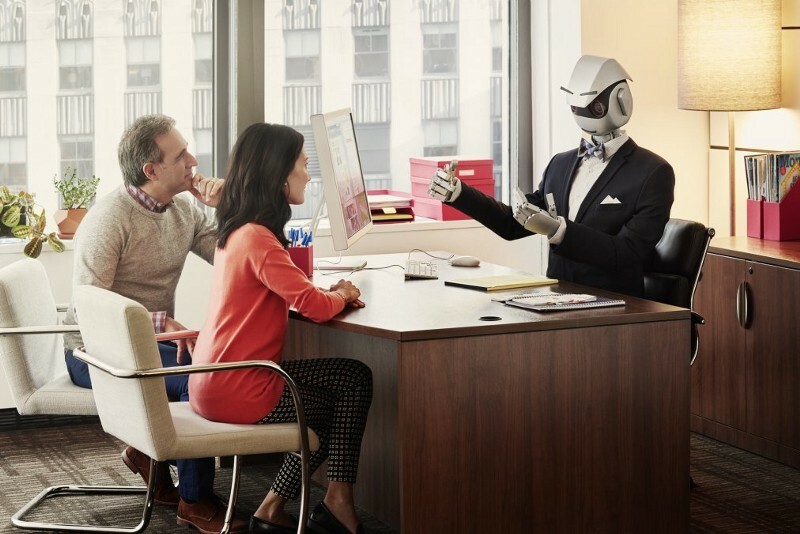 These platforms all offer their own unique advantages and features for those looking to start investing. I would recommend analyzing your own preferences and needs and then choosing your broker. Robinhood and Loyal3 may be more suitable for those who don’t trade too frequently and want to avoid fees, whereas OptionsHouse and TradeKing may be better for individuals who trade constantly and require more advanced platforms. As always, good luck to all and please feel free to email me at ek526@cornell.edu with any questions or concerns! As a final note, it is very common to have multiple accounts with different brokerages, so there’s no pressure to “commit” or immediately find a long-term online brokerage. You can definitely test drive different brokerages and find one that meets your personal style of investing. Edwin Kye is Keel’s Research Intern. He began investing due to his passion in sneakers and fashion. To date, Edwin has averaged 25% returns on his investments, which include long/short positions in companies such as Nike, Adidas, and Under Armour. He has advised analysts at various hedge funds about the footwear industry and the viability of different investment theses, and writes regularly on Seeking Alpha. He also runs a blog at TheSneakerGuru.com, where he comments on various aspects of the fashion and footwear industries from an investor perspective. Edwin is currently an undergraduate economics major at Cornell University.